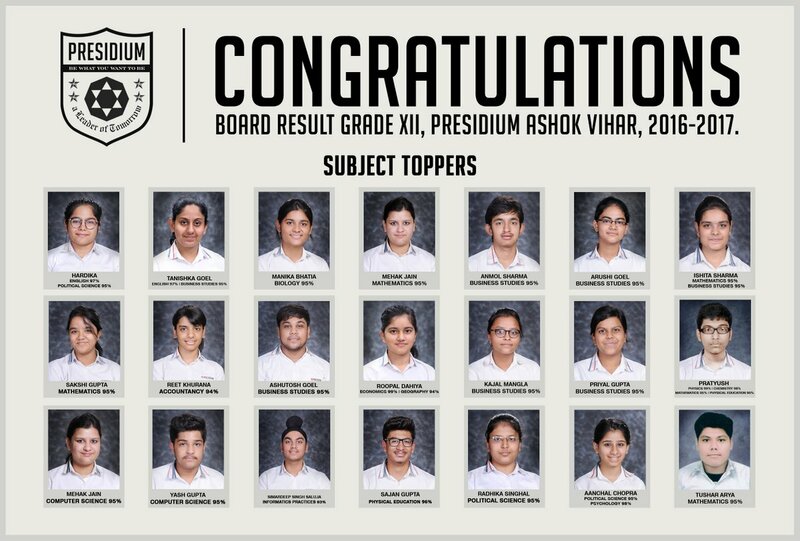 It is a matter of immense pride for Presidium that our Grade 12 students have cleared their Board result with such flying colours. Our children have always been our strength and our biggest accomplishment. 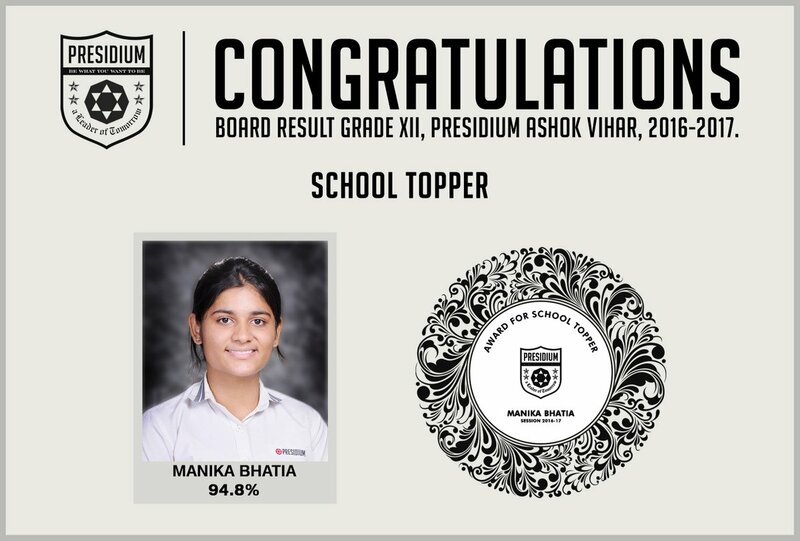 Our Grade 12 students have set higher performance benchmarks for Schools across. 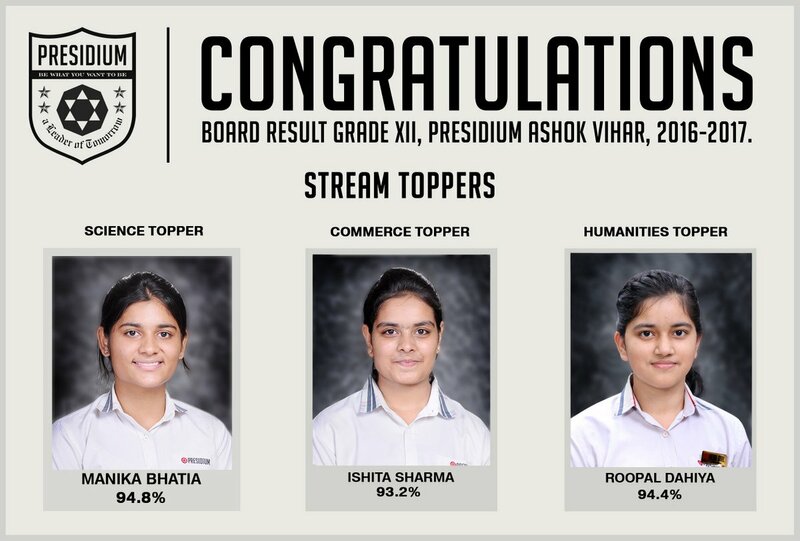 Heartiest Congratulations to all the students and our profound blessings as you step out into the world to pursue your dreams. 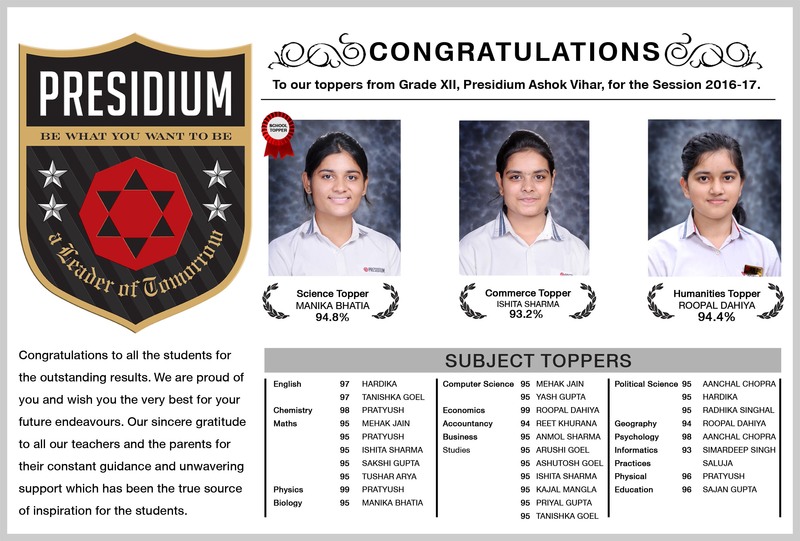 Our sincere gratitude to all our teachers and parents for their constant guidance, unwavering support and for being a source of inspiration for the students. We hope and pray that we continue to work together to take our students and our School to new heights.